The Tacoma pickup truck is an excellent vehicle for kayaking fans. It is great for off road trips to water spots that provide that much needed escape from the hustle and bustle of city life. The Tacoma has superb features allowing these road trips such as the button selection for off road settings. How frequently will you use these carriers to carry your craft around? If you hit the water regularly, then you will need something that is long lasting. Reviews can tell you how long people have had their carriers and how they have performed. You will want to have the carrier made of strong material especially if you are hauling more than one craft. Strong carriers also allow you to carry other gear together with your craft. This could be camping-gear or other equipment. Strong materials such as steel will last you a long time. Most people will use their crafts on salty water bodies. You thus want your carrier to be rust-resistant. Otherwise your gear will wear off pretty fast. This requirement can be overlooked if the gear is strong and comes at a cheap price. You could always paint the carrier over with anti-rust paint. 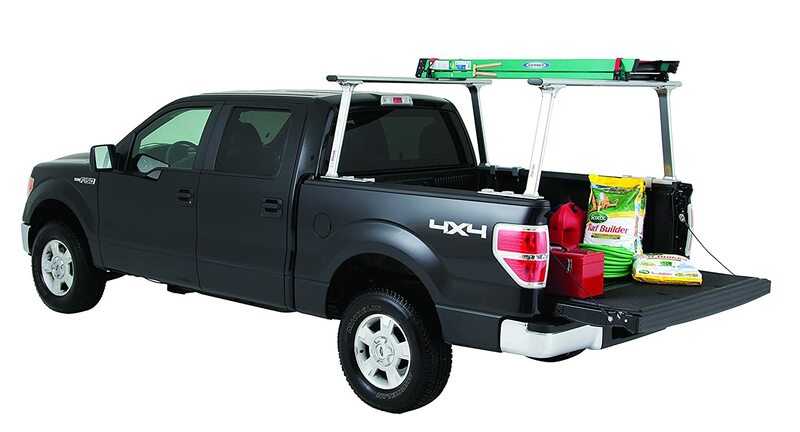 Carriers for pickup trucks are many and the price may range from very highly priced name brands to low priced brands. Your budget will determine what you get. This is not to say that you will get poor quality for low prices. Sometimes something of high quality may lack a strong bolt which you can replace at a small price. When you compare the total cost of replacing the bolt and the price of the carrier, it will still be much lower than some brands. 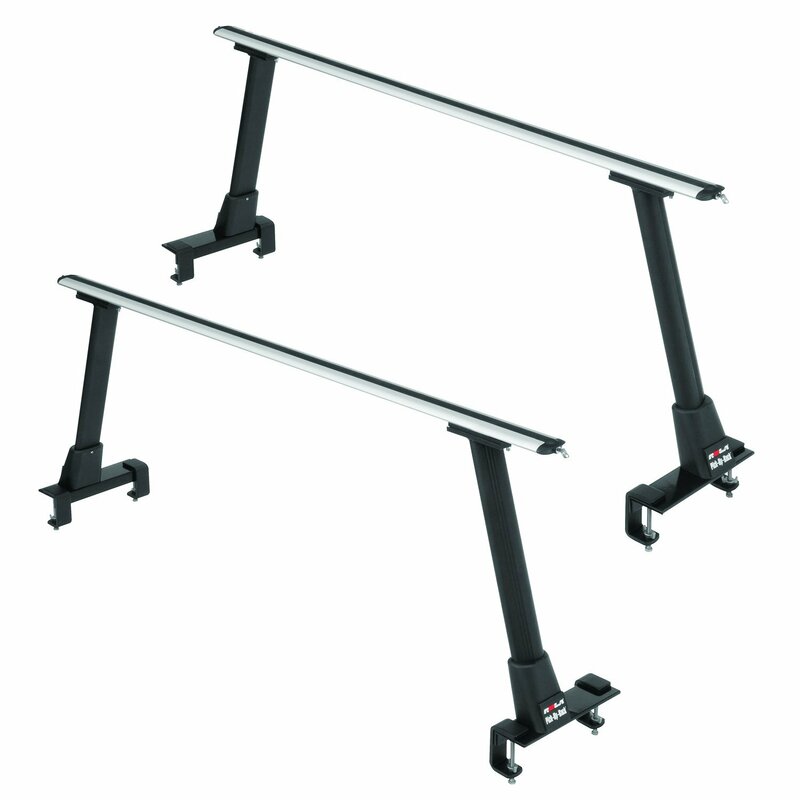 It is a good to have adjustable bars which allow you to raise the gear you are carrying or lower it. This is necessary when negotiating sloping areas especially on reverse. With these considerations in mind, consider the following carriers for your Tacoma truck. 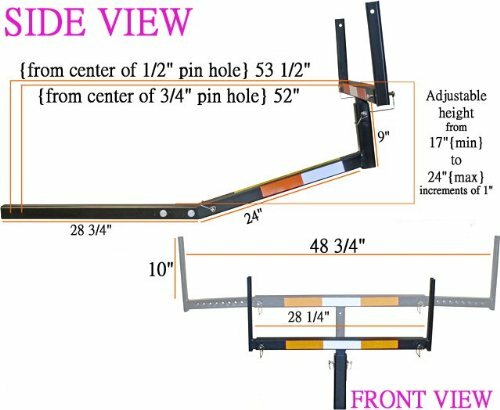 If you have not installed bed rail systems on your Tacoma, then this is a good alternative to consider. This carrier is not only beautiful on a Tacoma truck, but it also comes with anti-theft features for the lock cover and for the T-bolt applications. It comes with an installation manual to ease the process. This is especially handy when you have never installed one before. This carrier is quite strong as it is made of steel material and it can haul several water crafts. The colour goes well with all the colours of Tacoma trucks. The alignment may be off. This will require you to drill some holes yourself in order to secure it. This carrier comes in a strong aluminium make which has a superb look due to its dual stage powder coating. It weighs 50 lbs and has a distributed capacity of 800 lbs. This makes it handy for carrying more than one craft as well as other stuff along with it. It also comes with single-axis mounting clamps for securing it as well as composite loop tie-downs which are adjustable. You are able to haul several crafts with this carrier. It makes it possible for you to carpool with a few friends. The colour is very appealing and goes well with all Tacoma colours. While the colour works well, the material is susceptible to scraping especially when it comes in touch with anything else. Thus bumpy roads which are no problem for your truck may create scratches on the carrier. The extender bolts are not very strong. It is a good idea to replace them immediately so that when you install the carrier, you won’t need to take it off again. The Darby allows you to either carry your craft above or behind your truck. You can extend the bed to allow you to carry the craft behind. This would be great when you are driving on wide roads which are not too steep. Carrying the craft from above is great as it allows you to drive on any road without worrying about the craft. The height of this carrier is adjustable and it comes with width support of 4 inches. The assembling of this carrier is easy and can be performed even by first-timers fairly easily. The hardware is of good quality and will support more than one craft. The packaging is not ideal and you may find the parts to be dusty when they arrive. They come in a plastic bag which is not very good at protecting them over the long shipping trip. You will need to have or buy a strap for tying the bow of the craft to the front as this carrier does not come with straps. This is a bed extender with a capacity of 750 lbs distributed weight. The arms adjust both horizontally and vertically at 28.25-48.75 inches and 4-10 inches respectively. The side arms can also be folded to form a work table. The vertical and horizontal adjustments enable you to have great ground clearance. You can fit the carrier inside the track when you are not using it and then close the tail gate. The fitting is not tight and you may need to correct this to avoid a wobble effect. This is a carrier that can have multiple functions. It can carry your craft as well as loads of other gear. It has strong frames with a carrying capacity of 800 lbs. Widths can be adjusted between 5-7 feet. Thus longer crafts can be carried. You can adjust it and carry more than one craft. It is fairly easy to put together even for a novice. You will need to paint the parts with rust resistant paint. The poor packaging that the parts come in causes paint damage. 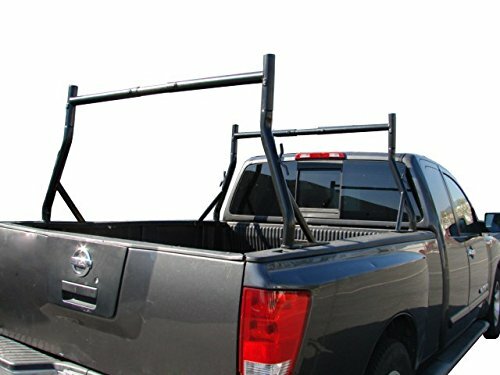 These are just a few of the kayak racks out there in the market for Tacoma pickup trucks. These are priced reasonably and the few fixes that they may require will not cost you much. However they will last you a long time.